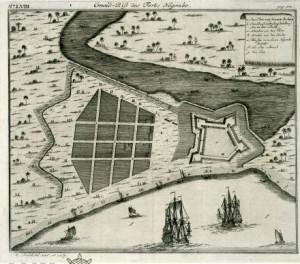 In 1665 after the capture of the fort by the Dutch, they demolished it and built their own mighty fortress according to the prevailing architectural design known as the Star Fort (i.e. Galle Fort). Serving as the Command Center for all 3 colonial powers, the Colombo fort would have been the biggest and strongest fortification in the island. Colombo Fort, the beating heart and commercial Capital of Sri lanka; home to the biggest Businesses, Hotels, etc and so much lively activity that many of us do not know that Colombo has a dark dark history, filled with conspiracies, murder, plague, and death; Colombo Fort was home to the bloodiest and deadliest battlefield in the history of pre-independence Sri Lanka. 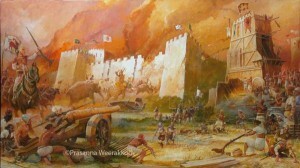 This is an account of Sithavaka Rajasinghe’s 3rd and Final Siege of the Portuguese Fort of Colombo.